When you're going into a career field, it may not always be about how much money you're going to make. If you love what you do, then it really doesn't matter. But that doesn't mean you're not curious as to what jobs make the big bucks. The career guide website Zippia, let's us see the highest and lowest paying jobs in each state. They created a map by using information collected from the Bureau of Labor Statistics' website. It's easy to assume that the lowest paying jobs are workers in the restaurant industry, which in a lot of states is the case. Iowa's lowest laying job though may surprise you. According to Zippia, Iowa's lowest paying career is a model. In fact, Iowa made the Top 5 on Zippia's list for the lowest paying jobs with models bringing in an annual salary of $17,460. This makes sense as there aren't really a lot of modeling opportunities in this state like there would be in New York or California. Check out the MAP to see how other states compare. Wondering what the highest paying career is for Iowa? It's an anesthesiologist! 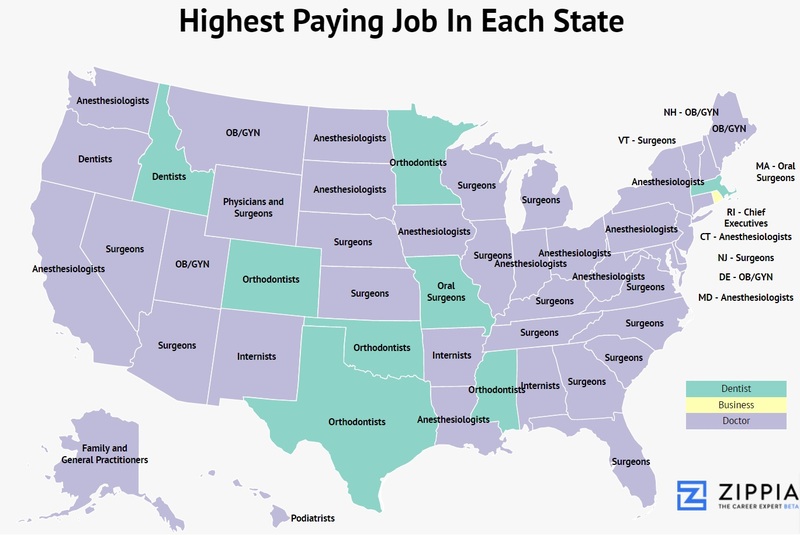 Iowa again made the Top on Zippia's list of highest paying careers with anesthesiologists rolling in a whopping $280,020 a year!! 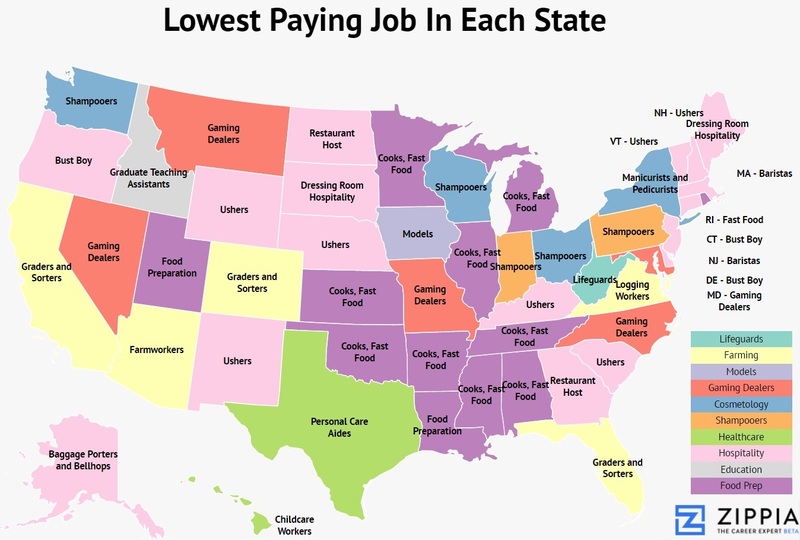 This career, as you can see from this MAP, is the highest paying job in several states. Moral of the story, if you're looking to make a lot of money in your career you should probably become an anesthesiologist.